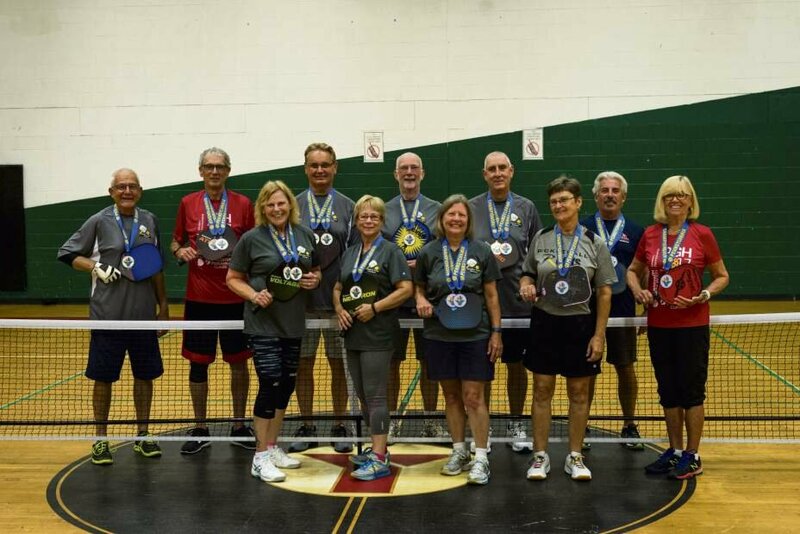 “Several members of the Allegheny Valley YMCA Pickleball Club in Natrona Heights brought home medals from the 2017 GAMMA Pickleball Classic on June 23 to 25 at the David L. Lawrence Convention Center in downtown Pittsburgh.” Read the full article here. “We already know that exercise is a key ingredient to delaying the disease and the onset of Parkinson’s disease,” Wertz says. “What we’re learning is that exercise early in the diagnosis is critical to delaying the disease.” Read the full article here. 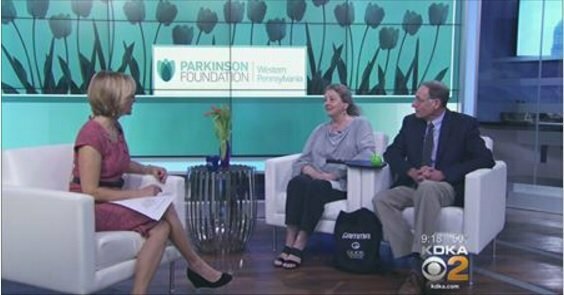 Parkinson Foundation Western Pennsylvania will drive a campaign in honor of Parkinson’s awareness month on April 12th. As the international sign for Parkinson’s, tulips will be distributed along with information about free programs, services and support groups through the Foundation. May and June events include the Pittsburgh Marathon as well as the Foundation’s 2nd annual GAMMA Pickleball Classic tournament. Watch the full news video here. “When you think about pickleball hotbeds, Pittsburgh would certainly not be one of the first places that comes to mind; however, history was made in the City of Champions when over $10,000 was raised to battle Parkinson’s disease.” Continue reading here. 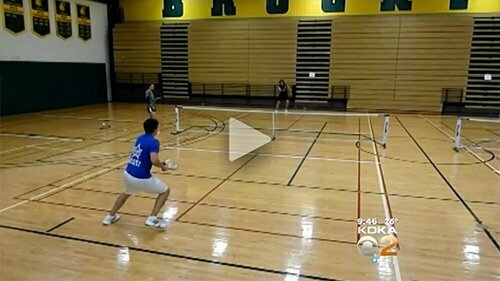 PITTSBURGH (KDKA) — Pickleball is a sport that combines badminton, tennis and ping pong. “In the last ten years or so, it’s just caught fire,” said Pickeball Tournament Director Lou Sherfinski. There’s no denying it’s growing popularity. The United States Pickleball Association says membership has grown 900 percent since 2010. The David l. Lawrence Convention Center plays host this weekend to a big tournament, where you can see some of the best compete. The first GAMMA Pickleball Classic— which will benefit the Parkinson Foundation of Western Pennsylvania— will host 250 players from nine states. “First time I’ve been to a tournament. My first match I’m playing two gentlemen from Naples, Florida. So people from all over the countrytraveled to play in this tournament,” said player Bill Csonka. Competitors in this weekend’s tournament range in age from 19 to 70 years old. 20 courts are set up to showcase the tournament. Competition is taking place Friday, Saturday and Sunday with matches starting at 9 a.m. But there still is one question— how did this growing sport get it’s name? The people who invented the game had a dog named Pickle. While they were playing the game, the dog kept running and grabbing the ball and taking it away. So they called it Pickleball after their dog. Before Picklesburgh — a festival celebrating the salty snacks — takes over the Rachel Carson Bridge in July, pickleball will take over the David L. Lawrence Convention Center today. Pickleball takes the layout of a badminton court, then adds a slightly shortened tennis net and paddles similar to (but larger than) those used in pingpong. It’s played with a Wiffle ball, under modified tennis rules. No actual cucumbers are involved. Created a little more than 50 years ago in Washington, the unusual name’s origin remains disputed. One of the first players claims the sport is named after the founder’s dog, Pickles, while the founder’s wife says she named the game after a pickle boat, a crew boat that carries leftover oarsmen. Because the sport is low-impact and requires more strategy than power, it initially gained traction with senior citizens. But recently, the sport has grown. Wayne Dollard, 46, of Peters, the publisher of the world’s first and only pickleball magazine, estimated that only 100,000 Americans were playing the sport just six years ago. Today, the USA Pickleball Association’s website says that more than 2 million people in North America play pickleball. As the game has developed, so has its formal institutions. The USAPA, the sport’s governing body, was founded in 2005 and supports tournaments throughout the United States, including the annual National Pickleball Tournament. It was at this tournament that Dollard first encountered the sport. Though he initially attended the tournament at the recommendation of racket vendors who observed pickleball’s growth rate, Dollard said that he began playing with his family. Sally Sherfinski and her husband, Lou Sherfinski, both of North Strabane, have been playing pickleball for four years, they said. They are the co-executive directors of the Gamma Pickleball Classic, a pickleball tournament that kicks off today at the convention center. The sport’s rating system assigns each player a numeric value between 2.0 and 5.0 based on his or her ability. Since it does not take age into account, a 70-year-old could match up against a 30-year-old. Approximately 325 pickleball competitors will compete over three days, said Dollard, the tournament’s co-chair. All proceeds from the tournament, which Dollard said he expects to exceed $10,000, will be donated to the Parkinson Foundation of Western Pennsylvania in honor of Ron Wertz, the father of tournament co-chair Michael Wertz. The elder Wertz was diagnosed with Parkinson’s Disease in 2002 and died in April at age 78. Before his father passed away, Michael Wertz approached Dollard about starting a pickleball tournament as a fundraiser for the Parkinson Foundation. Dollard agreed, and the two selected the David L. Lawrence Convention Center — which will house about 20 courts — as the venue. Sherfinski added that even Parkinson’s patients can play pickleball, both to stay active and to work on balance and coordination. Check out our segment on KDKA’s Pittsburgh Today Live! Wayne Dollard, the Publisher of Pickleball Magazine and David Von Hofen, Director of Programs & Outreach at Parkinson Foundation Western Pennsylvania were interviewed about the game of Pickleball and its connection to Parkinson’s disease. Watch the full video below. The fastest growing sport in the U.S. is coming to Pittsburgh’s David L. Lawrence Convention Center June 3-5, 2016. Parkinson Foundation Western Pennsylvania is pleased to announce the Gamma Pickleball Classic will bring players of all ages and skill levels together from around our region. Requiring finesse, mental concentration and camaraderie, the sport is an ideal activity for those living with Parkinson’s disease. All proceeds from the event will go to support the mission and programs of the foundation. Pickleball is particularly appreciated by baby boomers, but numerous school systems throughout southwestern Pennsylvania are also adopting the sport. A mix of tennis, ping pong and badminton, Pickleball is played mostly as a doubles contest. It can be played indoors on a gym floor or outdoors on a tennis court. The game requires more strategy than power, which is why seniors are adopting the sport in record numbers. Co-chairs of the Pickleball Classic are Michael Wertz (CEO of Apple Box Studios and Board Chairman for Parkinson Foundation Western Pennsylvania) and Wayne Dollard (Publisher of Pickleball and InCommunity Magazines). Dollard states “he is determined to make the Classic one of the premiere Pickleball events in the country.” At least 300 competitors are expected to enjoy the tournament this first year. “This event is unlike any other in the sport as it’s set in the heart of Pittsburgh’s cultural district. The city will be alive on this weekend with the Dollar Bank Three Rivers Arts Festival, a Pirate home stand and Pickleball,” Wertz adds. To learn more about how to participate, sponsor or volunteer, call 412.692.3971 or visit www.pickleballclassic.org. MEDIA: Interview and photography opportunities available. All interested media that would like to inquire about interviews, attend and review, photograph and/ or videotape events should contact Apple Box Studios at 412.642.3971. For more information about the Parkinson Foundation Western Pennsylvania, please visit www.pfwpa.org or call 412-837-2542. Sally and Lou Sherfinski’s passion for pickleball began innocently enough. After being introduced to the sport six years ago while visiting friends in California, the Canonsburg couple responded to an item in The Almanac. He and Sally went from using the court in Bridgeville’s park on McLaughlin Run with six others to involving more than 50 players, who vie at South Hills venues from the recreation centers at Bethel Park and Upper St. Clair, where the Sherfinskis once lived, to the Southpointe Courthouse. Today, they are the tournament directors of the GAMMA Pickleball Classic, which will be held June 3-5 at the Pittsburgh Convention Center. Admission is free. Similar to how they discovered pickleball, the Sherfinskis fell into the directors’ chair. Their appointment began after a brief conversation last December with Wayne Dollard, co-founder with Mike Wertz of the Pickleball Classic. Because Lou was a USA Pickleball association ambassador, Dollard thought he would be interested. “Obviously, I am a lover of the game,” Lou admitted. Only days away from the inaugural event, Lou had no idea the tournament would exceed its numbers. Some 225 players have registered. Many hail from nearby states, and some are from Canada. “We had no good feeling for how many we might get or from where, but we are happy,” Lou said about the turnout. He anticipates next year’s event will expand to include high schools. Currently, the tournament will be held in Hall D of the convention center and be played on 15 courts. “We hope to see many more players (in the future) so that would mean we would need to double our space,” added Lou. Many current players such as Diane and Bob Unetich have also pitched in to help the Sherfinskis. Diane was involved in registration along with Terri Flynn of New Castle. Bob, like Lou, is one of the sport’s ambassadors. The Unetich family used to play tennis. In fact, their sons, Mike and Rich, were standouts on the Upper St. Clair High School teams. Diane and Bob also used to play paddle tennis, but since they have been going to Florida the past three winters, that sport has become less important. According to Diane, pickleball is much easier to play, due partly to the smaller court size (20 by 44 feet), which is approximately the same as a badminton court. Pickleball lends itself better for mixed doubles play than tennis, she added. Locally, in fact, high schools teach it in gym class. While the Sherfinskis play three or four times a week, they have had to travel at times. During the winter months, they play primarily at the Southpointe Courthouse and in the recreation center at USC. Outdoors they have played at Baker Park in USC, Fairview Park and in South Fayette on Millers Run Road. They have ventured to Cranberry, New Castle and Garrett College in Maryland to play, as well. “Pickleball is a very social game,” Lou said. “ You are close to your opponents. There is much bantering back and forth, and the exercise is great. We know many husband-wife duos that play together, and we have made many wonderful friends in the process. The Pickleball Classic is also a way to raise awareness for Parkinson’s disease as well as the need for more courts. Proceeds from the event will benefit the Parkinson Foundation of Western Pennsylvania. Visit pickleballclassic.org or www.usapa.org for more information on the event or the sport. 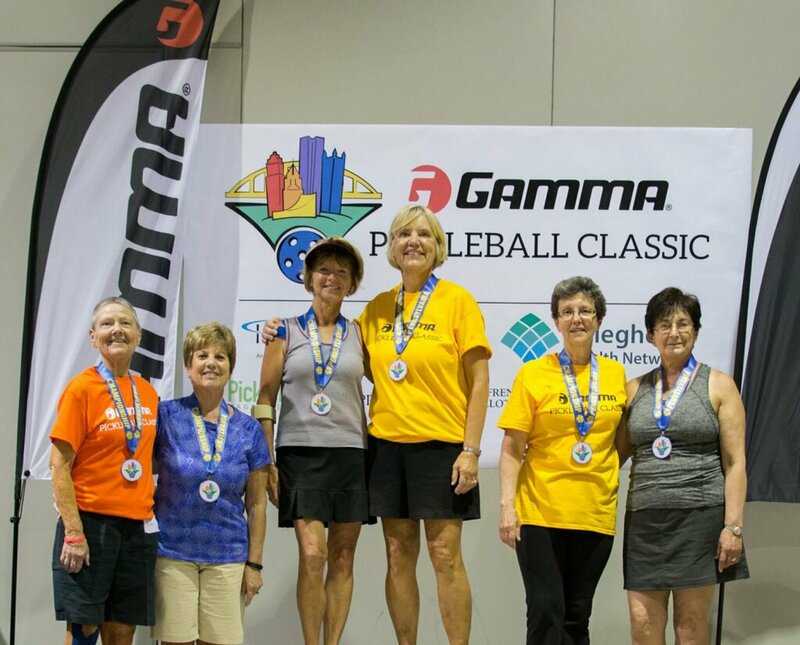 Pickleball players will flock to Pittsburgh from June 3 to 5 for the inaugural Gamma Pickleball Classic in the David L. Lawrence Convention Center. The fast-growing sport combines elements of tennis, badminton, ping pong, racquetball and volleyball. Players of those sports will be familiar with terminology such as foot fault, let, lob and volley. Tournament proceeds will benefit the Parkinson Foundation of Western Pennsylvania. Using pickleball as a Parkinson’s fundraiser was a cinch for event co-chairman Michael Wertz of Upper St. Clair, the CEO of Apple Box Studios. He’s the chairman of the foundation’s board and knew of pickleball from the tournament held on the last day of school each year at Upper St. Clair High School, which his children attended. His late father suffered from Parkinson’s disease. To organize the classic, Wertz teamed up with Wayne Dollard, publisher of the Peters-based In Community magazines and Pickleball Magazine, the official magazine of the USA Pickleball Association. The event will be an open competition for players who will rate their own skill levels, as well as a USAPA-sanctioned event for players with skill ratings of 4.5 and above. The duo expects about 300 people to play in the inaugural tournament, although Wertz is setting his sights higher for the future. The date was chosen to coincide with the opening weekend of the Three Rivers Arts Festival and a Pirates’ home stand. Jim Troxell of Murrysville is the informal pickleball organizer at Murrysville SportZone, where a group of about 50 regulars plays year-round on five courts on Monday, Thursday and Friday mornings. Pickleball has been played at the Rose E. Schneider Family YMCA since about 2010, says sports director Nathan Statzer. As the popularity has grown, the equipment has become more sophisticated, Statzer says. “People started out with wooden paddles sort of like you use for ping pong. Now they have graphite composite and you can pay anywhere from $30 to $130,” he says. Tournament sponsor Gamma Sports, a manufacturer of racquet sports equipment, carries paddles and balls for either indoor or outdoor play. Shirley McMarlin is a Tribune-Review staff writer. Reach her at 724-836-5750 or smcmarlin@tribweb.com. Pickleball was invented in the summer of 1965 in the Bainbridge Island backyard of Joel Pritchard, then a Washington state representative, when a bored group of relatives and friends couldn’t find the shuttlecock for a game of badminton and ended up playing with a wiffle ball and some hastily constructed plywood paddles. According to the USA Pickleball Association, a popular story had the name coming from the family dog, Pickles, who would chase the balls and hide them in the bushes. Pritchard’s wife Joan said the name actually referred to a “pickle boat,” the slowest vessel in a rowing race, and the dog was named after the sport. In 1967, the first permanent pickleball court was constructed in the backyard of the Pritchards’ neighbor. During the 1970s, pickleball moved from backyards, driveways and residential streets to become a paddle court sport with formalized rules. The first pickleball association was formed in 1972, with the first known tournament held in 1976 in Tukwila, Wash. In 1984, USAPA “was organized to perpetuate the growth and advancement of pickleball on a national level” and the first rulebook was published. A standard court is 20-by-44-feet, with a net hung at 36 inches. Points are scored by the serving side only, and the first side scoring 11 points and leading by at least two points wins. Most pickleballers play doubles, although singles can compete.